Hardcover, 9.5 x 12 in. / 304 pgs / 125 color. Edited by Alexander McQueen, Nick Waplington. Text by Susannah Frankel. In 2008 Alexander McQueen commissioned photographer Nick Waplington to document the creation of his Fall 2009 collection--all the way from inception to runway showing. Unfortunately, it was to be the last Fall/Winter collection that McQueen would stage before his untimely death. This show, which he titled The Horn of Plenty, found McQueen revisiting his 15-year archive of work and recycling it into a new collection. In effect, it was his personal survey of his work to date. The set was composed of broken mirrors and a giant trash heap made up of all the sets from his previous shows; critics have commented that this reflected McQueen’s feelings towards the fashion system and how it pressures designers to be creative geniuses while relegating each collection to the garbage bin of history as soon as it’s sold. Waplington was given unprecedented access to McQueen and his staff, which included the current Creative Director of the brand, Sarah Burton. Every step of the creative process is documented in fascinating detail and readers receive a rare insight into the inner workings of McQueen’s creative process. Most notably, McQueen himself placed the book’s layout, picture by picture, on storyboards. 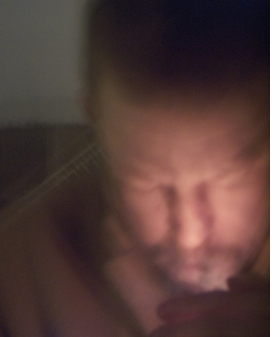 The book was ready for publication when McQueen died, then was put on hold--until now. This substantial overview, with more than 120 photographs, is published just as McQueen edited it, commemorating the most personal of his collections. It includes an essay by Susannah Frankel, Fashion Editor at Grazia (U.K.). Lee Alexander McQueen (1969–2010), CBE, was one of the most important fashion designers of the last two decades. He was the recipient of four British Designer of the Year awards, as well as the CFDA’s International Designer of the Year award, 2003. 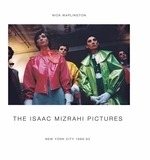 In 2011, following his death, the Costume Institute in New York organized an enormously successful retrospective of his work at the Metropolitan Museum of Art.Artist and photographer Nick Waplington (born 1970) has published several monographs including Living Room and The Wedding (Aperture), Safety in Numbers (Booth Clibborn) and Truth of Consequence (Phaidon). He lives in London and New York. When Alexander McQueen commissioned Nick Waplington to document the making of his fall 2009 collection, the photographer had no idea he would be capturing McQueen's final body of work. Titled The Horn of Plenty, the show was a history of the designer's career to date, as he revisited his fifteen years of provocative, groundbreaking clothes and recycled ideas in a new collection. In Essence, it was his swan song. Waplington's photos of McQueen and his staff, including current creative director Sarah Burton, are interspersed with images of landscapes -the waste grounds near McQueen's hometown, and landfills in the Negev desert in Israel - which make for additional commentary on the recyling theme of the collection. Because McQueenn himself, and a tribute to the many important and lasting relationships he had with all those who worked alongside him. Seeing Ms. Williams made me think of Alexander McQueen. Not any specific collection, but perhaps the one he called “The Horn of Plenty!” is close to what I had in mind. As it happens, the making of this collection, from fall 2009, is the subject of Nick Waplington’s splendid book of photos, with a forward by the journalist Susannah Frankel. Basically, Mr. McQueen was deconstructing the notion of consumption — consumer products to cultural icons, like Audrey Hepburn and the women who posed for Irving Penn. All was trash, in his view, a point he imparted with plastic-sheeted hair and piles of junk on the runway. Of course, the clothes were exquisite. But his intent, as he told Ms. Frankel, was to produce discomfort. [...] By the way, the Waplington book is the best fashion book that I’ve seen so far this season. It’s better than most documentaries at showing you the working process of a designer. 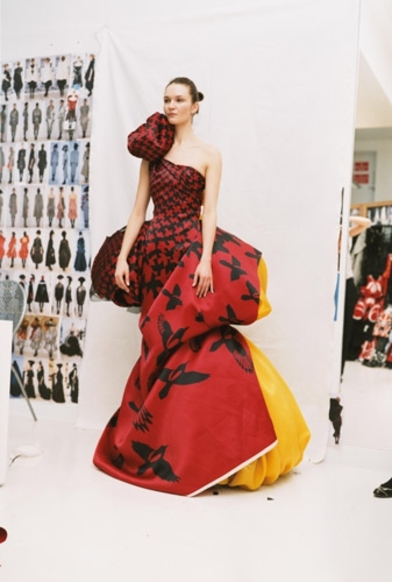 Waplington and Frankel were invited by McQueen to document the making of his fall 2009 ready-to-wear collection, called the Horn of Plenty, from start to finish. They did so, and the designer edited the resulting pictures. Then he died, and the project was put on hold. Now it's being published, and it shows everything from sketches and mood boards to meetings with editors such as Anna Wintour and Camilla Nickerson to the models with their giant, clownlike lips backstage at the presentation itself. The resulting book, dubbed Aleander McQueen: Working Process, provides an intimate look at McQueen, his team (including Sarah Burton), and his methods -its pages depicting everything from moments of pain and anxiety to bursts of joy and laughter. " This project offers unprecedented insight into the mind of a notoriously private and at times willfully impenetrable man", writes journalist Susannah Fenkel, who worked closely with the designer, in the tome's introduction. Nearly four years after the sudden death of Alexander McQueen rocked the fashion world, the new book “Alexander McQueen: Working Process” documents the designer’s fall-winter 2009 collection, which McQueen intended as a culmination of 15 years of his work to that point. The images show the designer in moments of joy, grief and strife. They present a haunting portrait of a designer at work. The Metropolitan Museum of Art's 2011 show Alexander McQueen: Savage Beauty attracted 661,509 visitors and became one of the Museum's most popular shows ever. The show followed McQueen's tragic suicide in 2010, at the age of 40. The year previous, McQueen had invited British photographer Nick Waplington to document what would prove to be his last Fall/Winter collection, all the way from its design to its construction and runway debut. McQueen saw this book as a collaboration with Wapplington, and worked with him to edit and sequence the images. In fact, the book was ready for publication at the time of his death, but was put on hold. Working Process is filled with casual behind-the-scenes images of this collection, as well as the final runway show, which McQueen structured as a retrospective of his 19-year career, referencing looks from prior seasons, and which featured a giant heap of trash constructed from the smashed sets of all his past runway shows. With images of McQueen down on his knees pinning fabric and Anna Wintour without her trademark sunglasses, Working Process in fact feels more gritty than glamorous: it's all about the work behind the splendor. The book has the full support of McQueen's company which is now headed by Sarah Burton. 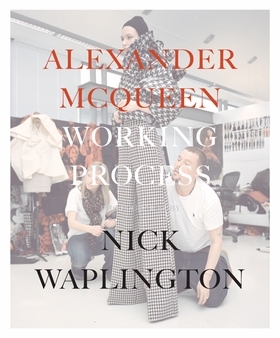 This Sunday, October 27, Arcana Books on the Arts and Damiani invite you to join photographer Nick Waplington for the launch of his new book, ALEXANDER MCQUEEN: WORKING PROCESS, edited by Alexander McQueen and with text by Susannah Frankel. Waplington, who was invited by McQueen to document the designer's now-iconic Fall 2009 collection, collaborated closely with McQueen on the book's image selection, design and layout. He will sign books from 5-7PM. Scroll down for a selection of images from the book, address and ordering information. “It’s a sackable offense this collection. I could easily have made it digestible but I didn’t want to. It’s not safe in any way. It’s a punked up McQueen It Girl parody of a certain ideal, of a woman who never existed in the first place. It’s Audrey Hepburn in Breakfast At Tiffany’s. It’s Dior. It’s Valentino’s ladies who lunch. It’s the women you see in those old images by [Irving] Penn. They’re caricatures of their time and I’ve pushed that caricature even further. The long leg, the supersized houndstooth... Everything is extreme. Extreme-d. An illusion. I’m always interested in depicting the age that we live in and this collection depicts the silliness of our age. I think people will look back at it and know that we were living through a recession when I designed it, that we got to this point because of rampant, indiscriminate consumption. They’ll know that we’re referencing recycling but in a twisted way. That’s why the set is a pile of rubbish and why I have to make clothes out of bin liners and broken records. Of course, I’m not really making clothes out of bin liners and broken records. They’re silks. There’s an irony to it, to all of it, and I hope people will see that too. The whole package: the set, the lighting, the soundtrack, the girls, all of it sums up the fact that we’re living in a mess. And I want to throw that at the audience and to make them think. It’s an idea, then another idea, then another, and another, and another. I want people to look at it and say: What’s that? What’s that? What’s that? What’s that? What the hell is that?” - Lee Alexander McQueen, February 18, 2009, quoted by essayist Susannah Frankel in Alexander McQueen: Working Process. FORMAT: Hbk, 9.5 x 12 in. / 304 pgs / 125 color.